Zerlina Hughes graduated from Goldsmith’s College and gained an MA in Architectural Lighting. She has worked in theatre, opera, television and film, and as assistant director to Mike Leigh. Her first professional design won the London Fringe Award for Best Lighting. She made her National Theatre début with Light Shining in Buckinghamshire. 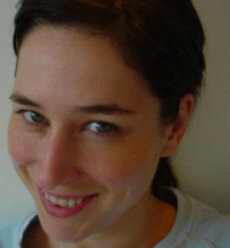 Zerlina has lit production for Cheek by Jowl, the Lyric Hammersmith, the Citizen’s Theatre, Glasgow – including Death in Venice (also San Francisco) and Mae West’s The Pleasure Man (also Stockholm) – and the Actors Touring Company including the site-specific In the Solitude of the Cotton Fields and Mark Ravenhill’s Faust. Other engagements include Books of Silence (Glasgow and Riga) and productions for Nottingham Playhouse, the Guildhall School, the Unicorn Theatre, Regent’s Park Open Air Theatre and the Theatre Royal, Stratford East. She made her West End début with Hard Times – the musical. She also lit the Varèse Weekend at the South Bank and Non Exeunt for the Gogmagogs. Regular work with director/designer Stewart Laing includes the operas Dead Man Walking (also Copenhagen and Cape Town), Faust and La Vie Parisienne at Malmö; the prize-winning Tosca at Norrlands Operan; La Bohème and Così fan Tutte for Scottish Opera and Les Mamelles de Tiresias at Grange Park Opera. For Irina Brook she lit The Glass Menagerie in Lausanne and operas in Bologna, Lille, Reisopera Netherlands, Théâtre des Champs Elysées, Bologna and Aix-en-Provence. Other opera lighting has been for Opera North, Theatre Cryptic, Aldeburgh Festival, Almeida Opera, Opera Northern Ireland, Clonter, South Bank (also European tours); Covent Garden Festival; Pimlico Opera; Grange Park; The Knack/ENO Works and Cardboard Citizens in London.